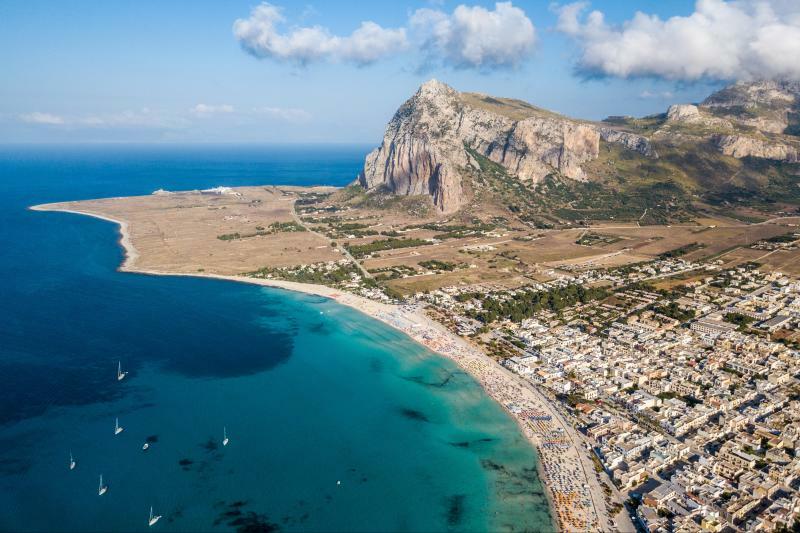 Explore age-old ruins and breathtaking landscapes on this magnificent journey through Sicily. Off Sicily's northeastern coast, discover the UNESCO protected Aeolian Islands, a tranquil and unspoiled paradise! After breakfast in the hotel, the morning will be spent visiting Monreale, its huge Norman Cathedral, proclaimed the Eighth Wonder of the World, and its splendid Cloister in Arab-Norman style: admirable masterpiece of art, sculpture, and semi-precious stones marquetry! Later we will discover the stunning Palermo, one of the richest towns in the Island for its history and art. Palermo stands on a bay at the foot of Mt Pellegrino, a headland described by Goethe as the loveliest he had ever seen. While the Baroque predominates, there is a profusion of different architectural styles reflecting the city’s multicultural past: Punic walls, Art Nouveau villas, noble residences, XVIIth century squares, including an elegant opera house. We will visit the wonderful Arab-Norman Cathedral, the astonishing Martorana Church and the amazing Cappella Palatina, marble example from a historical and an artistic point of view, of how di erent cultures, religions and way of thinking apparently incompatible can coexist. Ruggero II in fact employed both Byzantine, Muslim and Latin workers.